We need to find more light. Because the light shines brightest when we focus on it over the dark. That’s the challenge musicians, singers, and songwriters face every day. How do you serve a greater purpose and cut through the darkness of monotony? I think this week’s album review might have an answer. Valerie June is an American singer, songwriter, and musician. She has a unique sound, which I realize is something of a cliche to say, but it’s true. June holds dear a mixture of blues, soul, and mountain music. But not just mountain music, there is a mixture of gospel, country, bluegrass and folk in there too. This is the fourth outing for June and much like her third album, Pushin’ Against a Stone, June continues to explore the notion of quality music over innovation. June works over each song slowly, building in nuance and an essential quality of care for her own vocals. It’s heavy in places, and airy in others, but never feels unnecessary or problematic. Starting off with soft opener Long Lonely Road, a saccharine exploration into salvation, June continues onward and upward, considering the very key elements of time, love, and music as we wander through her album. It an autobiographical track that is immediately intimate, but not a tell-all by any means. Following this is probably one of my favourites of the album, Love You Once Made. Filled with organ sounds and shifting effortlessly between indifference and indignation, it describes the true feelings of a love lost. Luckily for us, this is only the beginning of the organ use – Shakedown is the opposite of what precedes it, upbeat and effervescent, it could have a place in any popular blues act of the day (read: The Black Keys). Next up is If And, another of my much liked tracks. In this one, June sways to the beat and rhythm while crooning away about the dangers of an unloved woman. The whole album plays out this way, full of wisdom, and vocal intensity, June is doing what so many other acts out there seem to refuse right now, and that is to provide substance. Wonderment on Astral Plane, simmering heat on Man Done Wrong, and the consideration of intimacy on Front Door. These are just some of the themes explored throughout The Order of Time, but this album is most definitely something that will either grow on you or put you off, I can write that with confidence. But what I’m most excited about in listening to this album is that Valerie June is black woman drawing from a wealth of musical history and managing to make something far cooler than anything I’ve heard in a quite some time, and she does it without concerning herself over political issues – the music delivers it best. 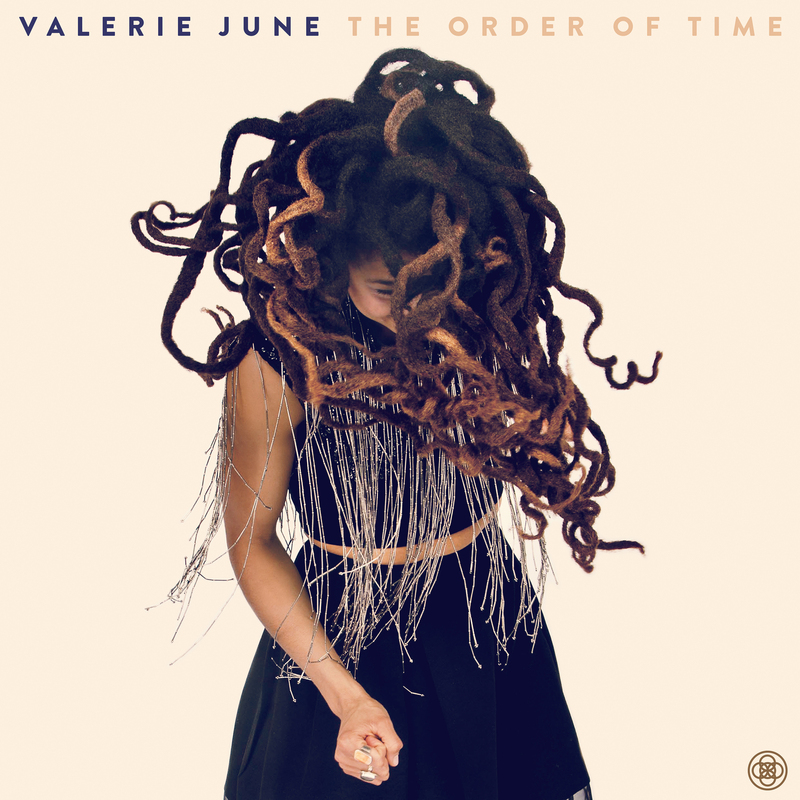 Valerie June continues to make music which separates itself from the mainstream while operating within it. This is a rare feat for any artist and worthy of our attention. But as I mentioned previously, it might not be for everyone, and that’s okay. I like that notion that light is cutting through the dark in due time.